High achievers do many things well, particularly when they’re convinced that excellence requires their utmost performance. Low achievers, however, have a hard time getting motivated and often find themselves coughing in the dust of the high achievers’ hustle. But like so many generalizations, this one has a limit. A new study in the Journal of Personality and Social Psychology uncovered a variable that knocks this scenario on its head, and it has everything to do with what makes low achievers tick. Researchers conducted multiple studies to evaluate how participants’ attitudes toward achievement influenced their performance. In one study, participants were “primed” with high-achievement words (related to winning, excellence, etc.) flashed on a computer screen. Each word appeared only for an instant, too fast for conscious deliberation. Participants with high-achievement motivation performed significantly better on tasks after being primed with the words than those with low-achievement motivation. In another study, participants completing a verbal proficiency task (word-search puzzles) were interrupted, and then given a choice to either resume the task or switch to a task they perceived as more enjoyable. Those with high-achievement motivation were significantly more likely to return to the verbal task than the low achievers. The results: participants with high-achievement motivation did significantly worse on the task than low achievers. Does Making a Public Commitment Really Help People Lose Weight? 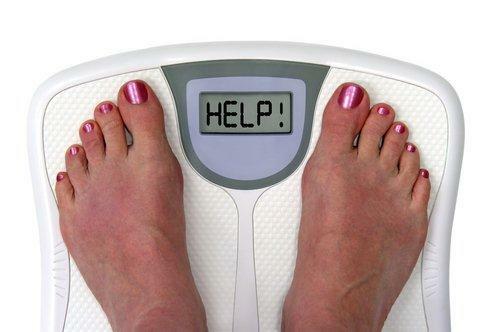 Several of the most popular weight loss programs operate on the public commitment principle. Individuals are challenged to state “publicly” (which may simply mean in front of a small weight loss group) that they want to lose so much weight in a given time period. The commitment hinges on social pressure working against the possibility of failure. If someone doesn’t succeed, or at least make substantial progress toward the goal, everyone will know it. On the face of it, this principle seems sound, since no one wants to be publicly embarrassed or viewed as a hypocrite. In practice, however, there’s a hitch. For the public commitment principle to operate at full steam, its adherents must genuinely fear the disapproval of others—and that’s simply not true of everyone. A recent study in the journal Psychology and Marketing investigated how public commitment affects individuals who fear social disapproval—that is, people with high susceptibility to normative influence (SNI)—versus individuals who are not as easily influenced by others’ opinions (low SNI). It also tested the efficacy of short-term versus long-term public commitment, as well as no public commitment. Two-hundred and eleven women between the ages 20 and 45 were recruited for the study. They signed up for a 16-week weight loss program designed to help people lose 15 to 20 pounds and maintain weight loss over time. 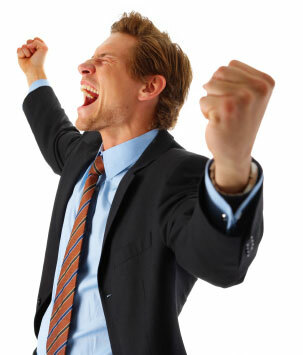 All subjects completed questionnaires that gauged SNI level and personal weight-loss motivation. Subjects were then randomly separated into three groups: long-term public commitment, short-term public commitment, and no public commitment. 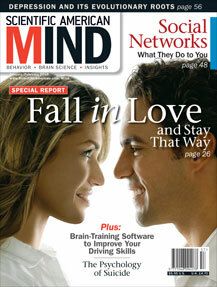 I have a feature article in the January/February issue of Scientific American Mind about the psychoemotional effects of social networking. A preview of the article is online here, and hard copy is available on newsstands. Several months back I started following the debate about the role of social network sites like Facebook in fostering loneliness, affecting self-esteem and bolstering narcissism. As is often the case, the debate seemed more about presuppositions and agendas, and less about evidence. This article puts the emphasis solidly on evidence by reviewing a range of research findings from the last few years. If you have a chance to read it, I’d love to hear your thoughts. I wish everyone a tremendous New Year. Thank you very much for reading Neuronarrative in 2009 – I’m looking forward to another year of exchanging ideas on engaging topics. We’ve all had the experience of listening to someone in a position of power rail against the moral ineptitude of others. Turn on the news on any given day and you’re likely to see someone moralizing about family values, for example. Most of us listen to these diatribes and wonder if those doing the judging would fare well under judgment—though we strongly suspect they would not. A new study that will be published in a forthcoming issue of Psychological Science confirms our suspicions. 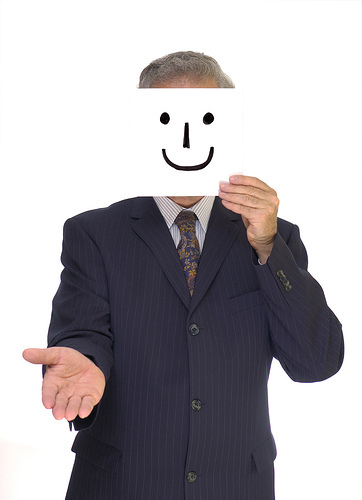 Researchers investigated whether people in positions of power that hold high standards for others actually live up to those standards themselves. To do so, they set up a power simulation in which two groups of people were assigned roles of ‘high-power’ or ‘low-power’ (specifically, the roles of prime minister or civil servant). Participants were then presented with a litany of moral dilemmas related to breaking traffic laws, reporting taxes, returning stolen property, and over-reporting travel expenses, among others. Five experiments followed in which researchers examined the impact of power on the moral hypocrisy of the participants. They found a consistent and alarming outcome: those assigned to the ‘high-power’ group repeatedly condemned moral failures of others while committing unethical acts themselves. In one experiment, high-power participants were asked for their positions on cheating and over-reporting travel expenses, both of which they flatly condemned. They and the low-power group were then asked to play a dice game alone, in a private cubicle, to win lottery tickets. The powerful reported significantly higher lottery winnings than the low-power group, even though both groups had the same odds of winning. What’s More Potent, Testosterone or the Power of Belief? When most people think of testosterone, words like “aggression,” “dominance,” and “violence” usually come to mind. Those words are memetically linked with testosterone the way “expensive” is linked with diamonds, and most of us have adopted the linkage without thinking much about it. Collectively, we’ve adopted a “folk hypothesis” about testosterone–a generalized presupposition grounded in folk wisdom assumed to be correct. What makes folk hypotheses noteworthy is that they’re hard to challenge–not because they are fact-based, but because they are so deeply entrenched in collective thinking. So I was intrigued to come across a study in the journal Nature that takes on the testosterone folk hypothesis directly, and also manages to illustrate something important about the power of belief. A fair amount of evidence has surfaced that testosterone is a key ingredient in social relations, not by increasing, but by decreasing conflict. With that in mind, researchers wanted to know what would happen if they gave a group of female subjects a sublingual dose of testosterone before playing the ultimatum game (the bargaining game in which one subject must negotiate with another about how to divide a sum of money. If an agreement is reached, both parties get the money as agreed. If an agreement isn’t reached, neither get the money). The subjects were not told whether they were receiving a placebo or true testosterone, only that they were getting a dose that could be either. The folk hypothesis about testosterone predicts that it will increase unfair bargaining by making one of the parties more conflictual and less willing to negotiate. In the ultimatum game, unfair bargaining means offering significantly less than 50% of the sum. Typically if less than 50% is offered, the other party will not agree because he or she would rather that neither party receive the money than accept the indignity of being treated unfairly. If someone with a testosterone boost is experiencing heightened feelings of dominance and aggression, it makes sense that fairness wouldn’t be top of mind. The results, however, were exactly the opposite. Overall, those subjects that actually did receive testosterone were not less fair but significantly more fair in their dealings. So much for the folk hypothesis. But that result, though compelling, is not the most telling part of this study. After the games were played, researchers asked the subjects if they believed they had received a dose of testosterone or a placebo. 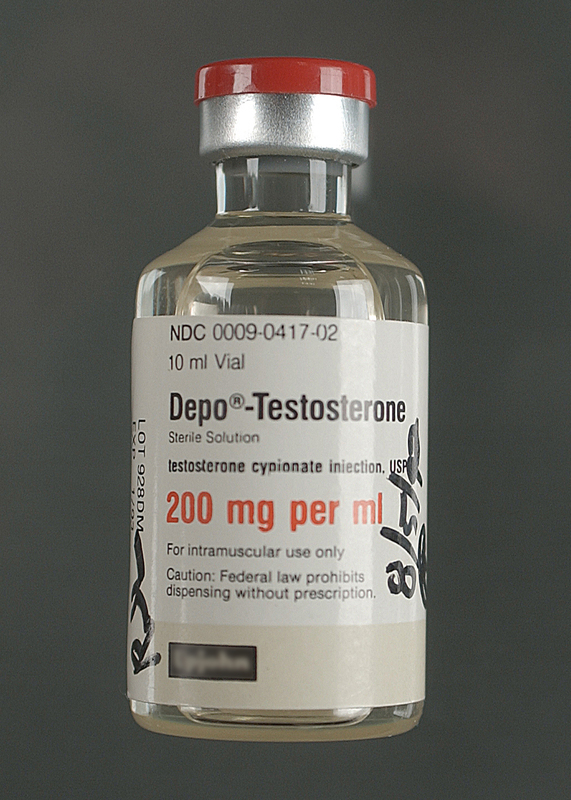 Subjects who believed they were receiving a dose of testosterone, whether they actually did or not, acted the part. Thinking they were negotiating under the influence of a notorious hormone, their bargaining behavior followed suit and was significantly less fair than that of those who thought they had only received a placebo. So as much as this study showed that the folk hypothesis about testosterone is flawed, it also showed that belief is a powerful enough agent to induce effects presumed to be true. It’s even more powerful than the infamous chemical in question. Time and time again, belief proves itself the strongest bully on the cognitive block. Most of us realize that memory is fallible. We forget things all the time–car keys, passwords, whether we turned off the oven, etc. But how many of us would admit that our memory is susceptible to change from the outside? That’s different from simply forgetting–something everyone does on their own–because someone else changing our memory requires “getting in our heads” so to speak, right? If you’ve read this blog for any length of time, you know I’m about to tell you that not only is it possible, it’s probable. And it doesn’t even take very much effort to accomplish–just a few images and a little time. A recent study in the journal Applied Cognitive Psychology tested whether showing people photos of completed actions–such as a broken pencil or an opened envelope–could influence them to believe they’d done something they had not, particularly if they were shown the photos multiple times. Participants were presented with a series of objects on a table, and for each object were asked to either perform an action or imagine performing an action (i.e. “crack the walnut”). One week later, the same participants were brought back and randomly presented with a series of photos on a computer screen, each of a completed action (i.e. 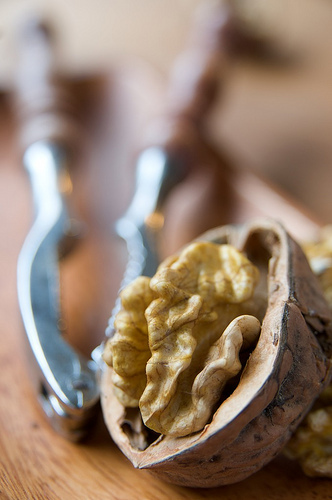 a cracked walnut), either one, two or three times. Other participants were not shown any photos. One week later, they were brought back to complete a memory test in which they were presented with action phrases (i.e. “I cracked a walnut”) and asked to answer whether they had performed the action, imagined performing it, or neither, and rate their confidence level for each answer on a scale of one to four. The results: the more times people were exposed to a photo of a completed action, the more often they thought they’d completed the action, even though they had really only imagined doing it. Those shown a photo of a completed action once were twice as likely to erroneously think they’d completed the action than those not shown a photo at all. People shown a photo three times were almost three times as likely as those not shown a photo. Two factors in this study speak to the malleability of memory. The first is duration of time. The experiment was carried out with a week between each session, enough time for the specific objects and actions to become a little cloudy in memory, but not enough time to be forgotten. This lines up well with real-world situations, such as someone providing eye-witness testimony, in which several days if not weeks might elapse between recollections of events. The second factor is repeat exposure to images. The study showed that even just one exposure to a photo of a completed action strongly influenced incorrect memory. Multiple exposures significantly increased the errors. One real-world takeaway from this result is potentially alarming: the possibility of using images to alter someone’s memory of a face or other critical element such that his/her testimony is tainted. A similar study discussed here tackled the same sort of memory issues with video instead of photos, and found a similar result. Both studies point to a realization becoming clearer with time: memory is far more changeable than most of us realize.